How much do you know about the Russian pianist? 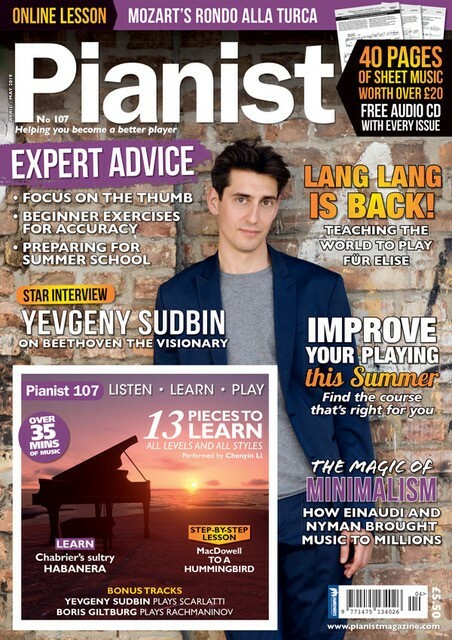 An in-depth interview with Yevgeny Sudbin, top piano courses and festivals to attend this summer, 13 pieces to learn for all levels, a focus on the thumbs, plus an exclusive interview with superstar Lang Lang! Neeme Järvi, Vladimir Ashkenazy, Osmo Vänskä, Hannu Lintu, Tugan Sokhiev, Mark Wigglesworth, Andrew Litton, Dmitri Slobodeniouk and Vassily Sinaisky are just some of the conductors he has worked with. In recent seasons, he has performed with Philharmonia, Rotterdams Philharmonisch Orkest, Montreal Symphony Orchestra, as well as Minnesota Orchestra, City of Birmingham Symphony Orchestra, BBC Philharmonic, Luzerner Sinfonieorchester, Czech Philharmonic, Royal Liverpool Philharmonic, New Zealand Symphony Orchestra, Australian Chamber Orchestra and many others. Yevgeny performs Rachmaninov's Rhapsody on a Theme of Paganini, Op. 43 with the Singapore Symphony Orchestra conducted by Lan Shui. After living in Germany for a few years, Yevgeny moved onto the UK in 1997 where he studied at The Purcell Music School and the Royal Academy of Music. He was taught by respected British piano teacher Christopher Elton. London has been his home ever since. “I take pictures of deep space when I have the opportunity, but it requires a lot of time. One picture of a galaxy takes maybe a week, even a few weeks – and maybe you have to wait until next year to finish it, when the galaxy comes back into the same place, and then it goes through all the filters…it’s a complicated process. But I always was a nerd and found space fascinating, so I had this idea to take pictures of it. For a pianist to seldom receive criticism is rare. Yevgeny is respected by many of the world’s most highly regarded publications. 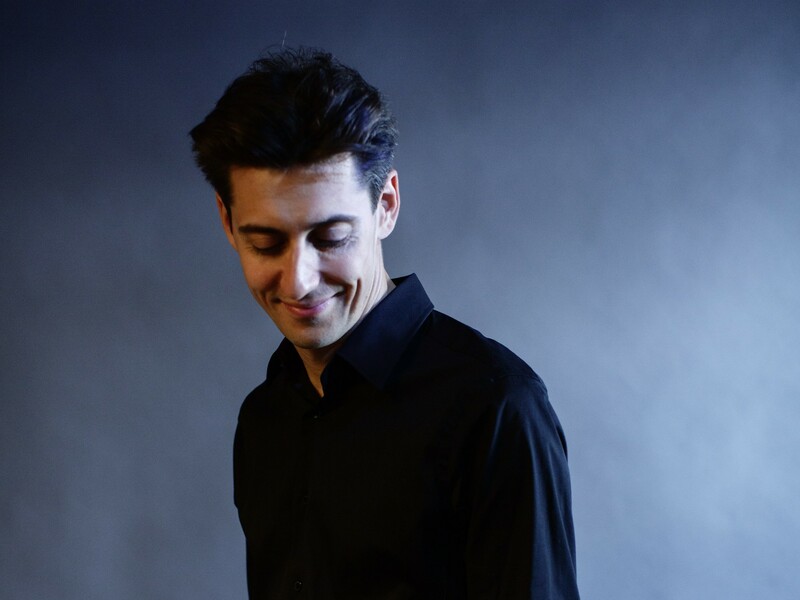 He’s been hailed by The Telegraph as ‘potentially one of the greatest pianists of the 21st Century’ for a start. His Scriabin recording was awarded CD of the Year by The Telegraph and received the MIDEM Classical Award for Best Solo Instrument Recording at Cannes. It was described by Gramophone as “a disc in a million” while the International Record Review stated that Yevgeny’s Rachmaninov recording “confirms him as one of the most important pianistic talents of our time”. Yevgeny has talent in abundance, there’s no doubt about that. Inside our new issue, he talks about the mysteries of late Beethoven and his love for astrophotography.